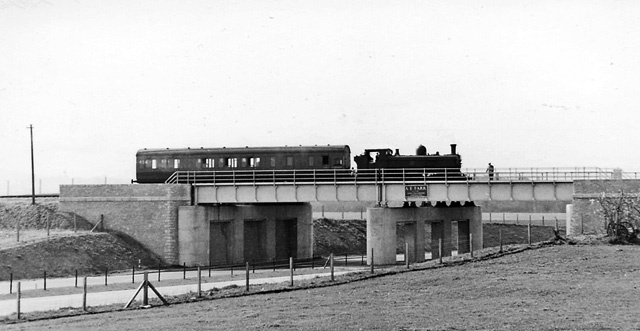 Rare photograph of a train from Ashchurch crossing the M50 motorway just before arriving at Ripple Station. 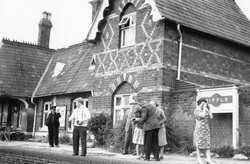 This over bridge has now been taken down. 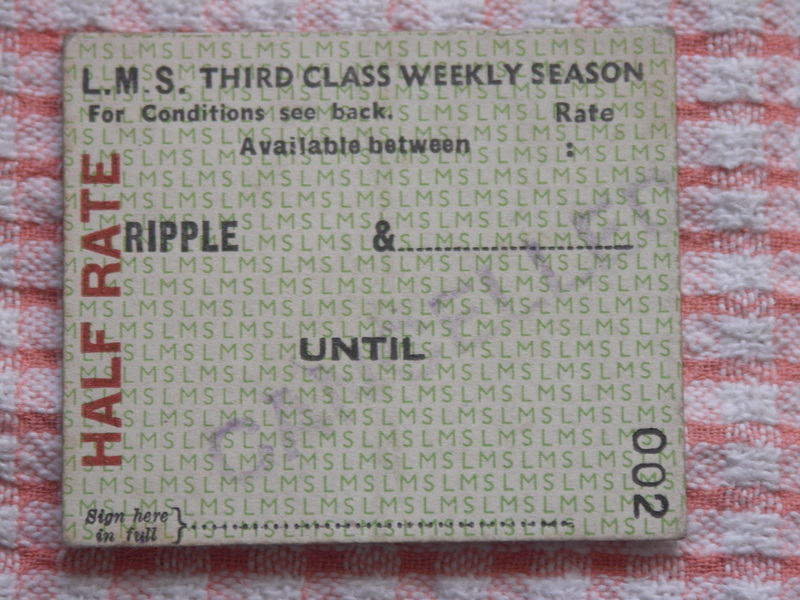 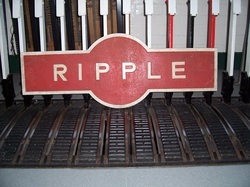 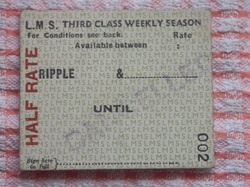 LMS Third Class Weekly Season Ticket number 002 from Ripple. 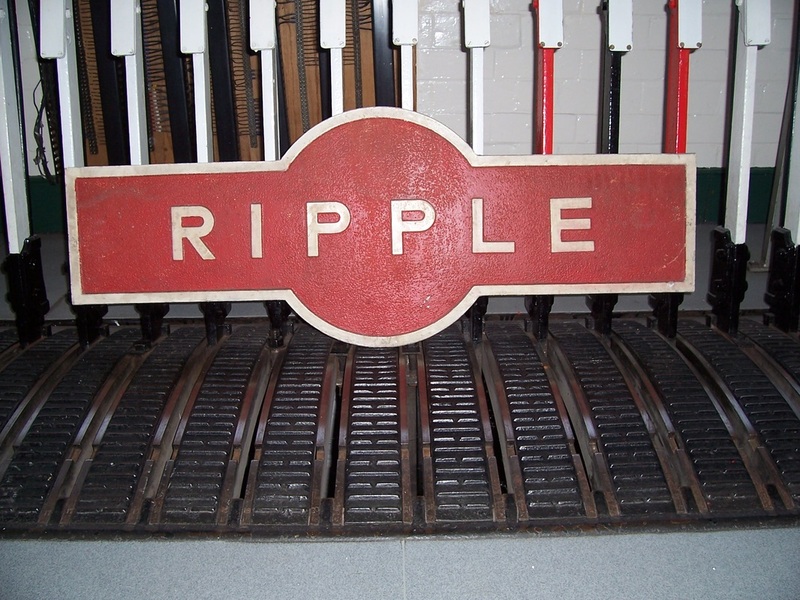 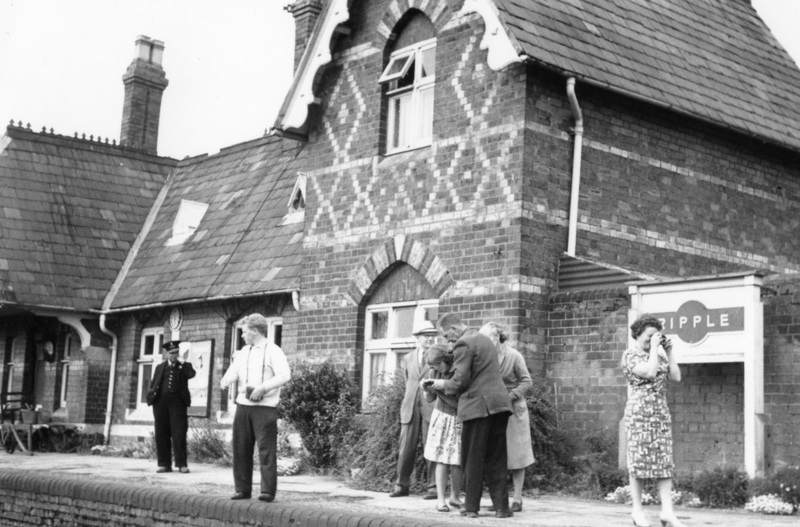 Ripple Station, could be the last day.